Whether you are planning a trip to Bali, Indonesia to do some surfing with a paddle board or you want to visit Playa del Carmen, Mexico and bring a stand up paddle board with you, you may wonder what are the best paddle boards on the market in 2017 and which one will provide you with the long-lasting use you want. 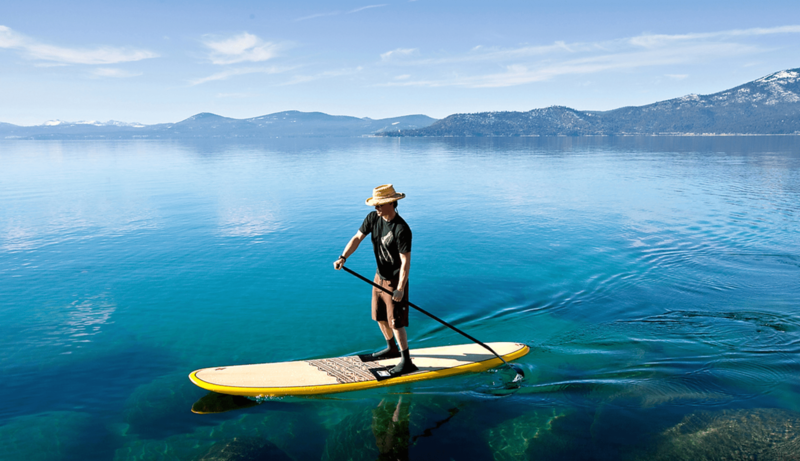 Where or How Will You Use Your Paddle Board? Before you set out to purchase your paddle board, you will want to determine where you will be using it and what type of paddle boarding you will be doing. The reason for this is that there are various types of paddle boards and the type that is good for river fun, may not work out well for surfing. Fitness paddle boards: Some people like to do yoga anywhere and everywhere and fortunately for them, there are paddle boards designed for fitness fun. What most yogis look out for in selecting their fitness paddle board is that it has the width they need to do their favorite yoga poses. You also want to ensure that the paddle board that you are checking out offers more balance than most. Yoga is a sport that requires balance as is paddle boarding, so it goes without saying that your fitness paddle board should be one that gives you the best traction around. Racing paddle boards: As you can imagine, racing paddle boards are designed to go fast. They are usually lighter than your average paddle board, which may make balancing a challenge for beginners, but they will undoubtedly help the racer win with their sleek build. Race paddle boards tend to have a narrower nose which allows for a smoother and faster glide through the water, but which could also mean it is more difficult to balance for beginners. One thing to consider about these touring race paddle boards is that they tend to be a bit pricier than most boards. Flat water paddle boards: A flat water paddle board is one that most beginners will use and can be used for simple paddle boarding, whether down a river or on a lake and is one of the more stable boards to use for leisurely paddle boarding. This is typically the type of board that beginners like to use as they are usually designed to offer better balance which is important for first-timers. Their length is usually between 10 -11″ and they are wide enough for firm standing. Surf paddle boards: Surfing on a paddle boarding is challenging, but also highly rewarding. Where bigger and heavier boards may be better for flat water boarding, or practicing yoga, a lighter and smaller board will do the trick for surfing to help the surfer maneuver easier and balance better. Something else to look for when shopping for a paddle board is that they are better shorter, as this allows for better maneuvering of waves. While some people may like the idea of just going to a store and picking out any paddle board that seems to suit their fancy, the truth is that the details count and buying one that isn’t ideal for what you need could mean a waste of money. If you need it for regular leisurely use, you may want to get a 30-34″ board which will help you to be able to balance better. Unless you are great at racing with a paddle boarding, a board about 10 or 11 feet is ideal for you. Of course, if you are a paddle board surfer, a shorter board is what you will need for the agility required in surfing. Some boards are heavy and if you have a smaller build, it may be difficult for you to carry a heavier one, although heavier boards can help to provide better balance. It’s important to take the time to consider all the features and components of the various paddle boards as each feature can mean a different result. It won’t do you much good to buy a surf paddle board, if what you want to do is race paddle boarding and if you are a beginner, you may not want to buy a board that requires more agility and speed, when what you need is one that provides you with proper weight and balance. There are also inflatable boards that can be good for simple river boarding or recreational use. They could be a good idea for those who are traveling around and want to stand up paddle board in different places, because they are easy to carry and can fit on trains, planes, and automobiles. 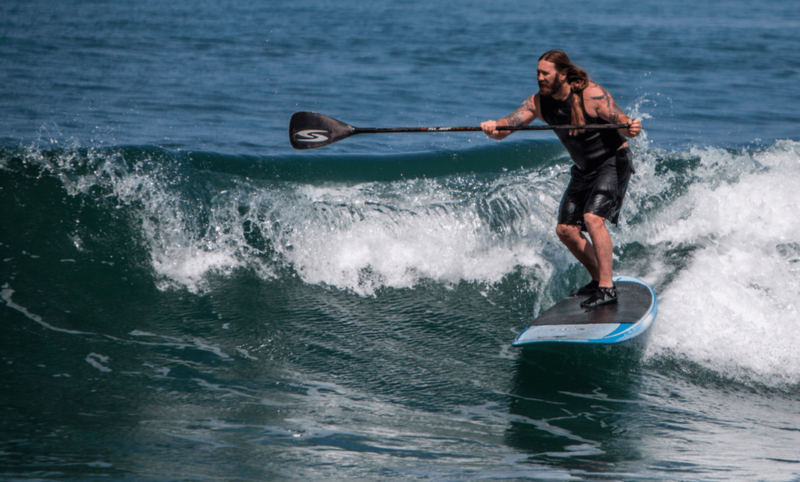 While some people may think that an inflatable board won’t be as sturdy as a solid constructed board, there are some inflatable board manufacturers out there who get it right and provide SUP paddle boarders with portability, as well as stability and durability. Now that you know which type of board to look for, for what you want to do, following are some of our favorite boards for stand up paddle boarding in 2017. 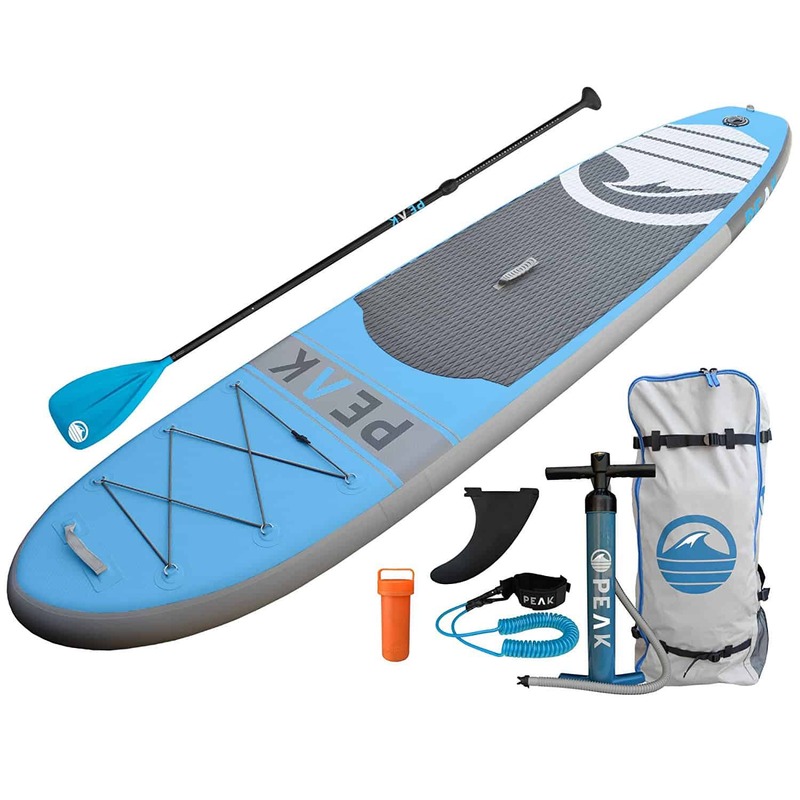 If you are plan on traveling to distant countries with your paddle board, this Peak inflatable paddle board may be the ideal board for you. 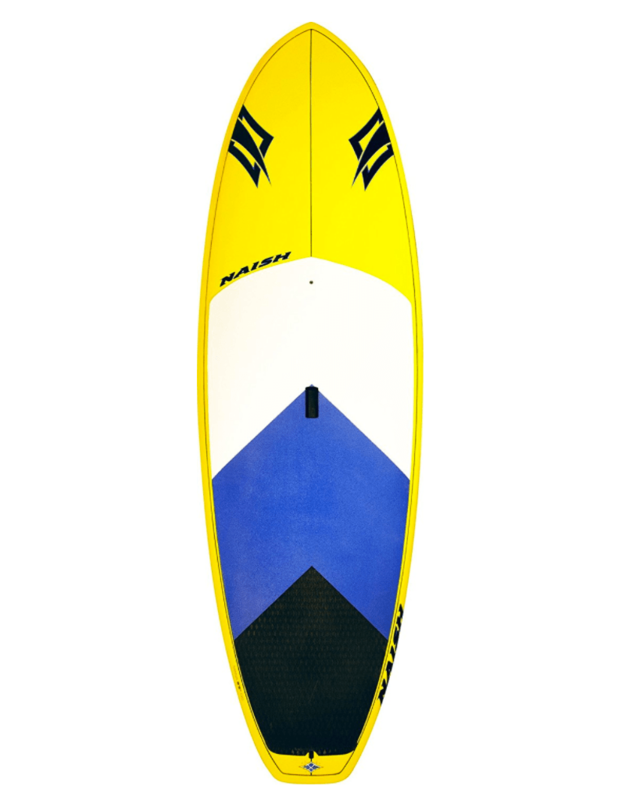 While the price may at first seem off-putting, the board provides SUP boarders with the durability they need due to its military grade PVC material which is 6″ thick. 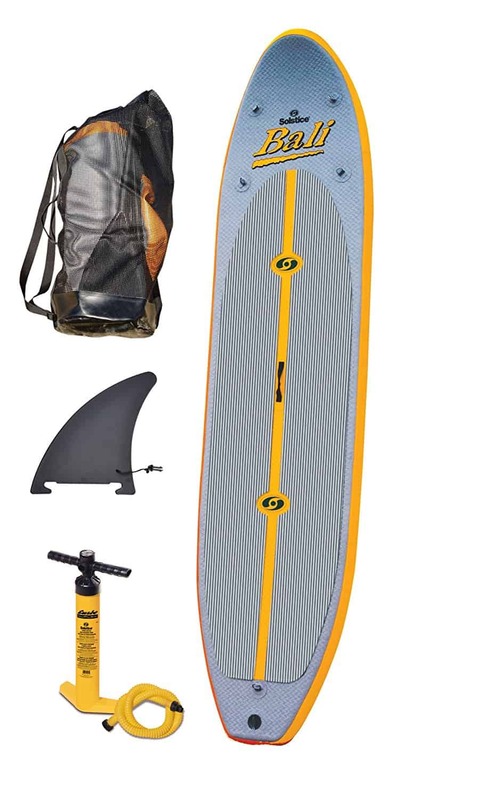 It’s easy to carry with its carry backpack, high pressure pump, and it’s strong and stable shape means that it will work well for recreational paddle boarding. This PEAK paddle board can also carry more weight than most inflatable boards, making it ideal for heavier boarders or those who like to bring their dogs with them on the journey. What makes this inflatable paddle board worth its price is its amazing quality, from the accessories to the board itself. Travelers can trust they have a board they can depend on. 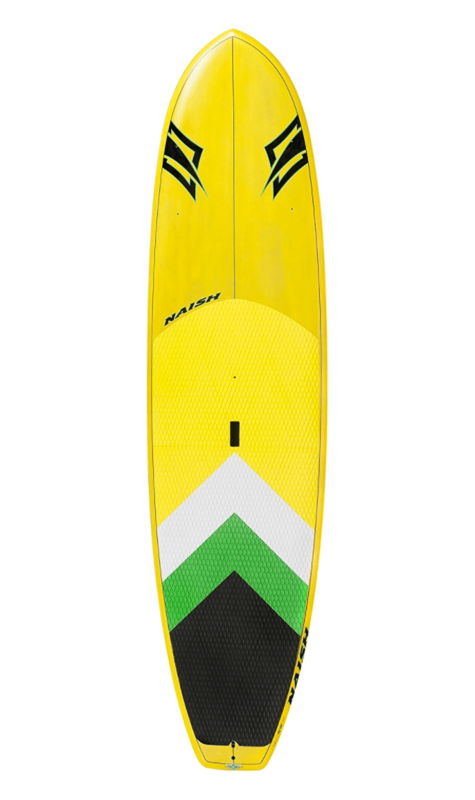 If you are just getting started in the sport of stand up paddle boarding, there are a few components you want to look for and the Naish Nalu has them all. It’s length of 10’10 means that it is ideal for recreational fun, it’s width is just enough to help balance without being too large for a small person to carry. With a glass matrix deck and bottom, it provides paddle boarders with some of the best weight ratio to be found in any paddle board-ever, which for a beginner is highly important for learning balance. For anyone who is afraid of falling in the water, this board is the best one that you can find to avoid tips and spills. If you are a yogi fanatic who plans on traveling to exotic places to practice both paddle boarding and yoga, this inflatable fitness board which is ideal for recreational use and yoga may be just what you have always dreamed of. With its air-filled body, it provides the perfect cushioning for your yoga poses while also ensuring balance. Its smooth on the water and because you can deflate it, you can pack it up and carry it on any flight to visit the incredible destinations you have always dreamed of paddle boarding at. It’s 10′ is a good size for smaller-built people, but for tall individuals, you may want to choose the bigger one. 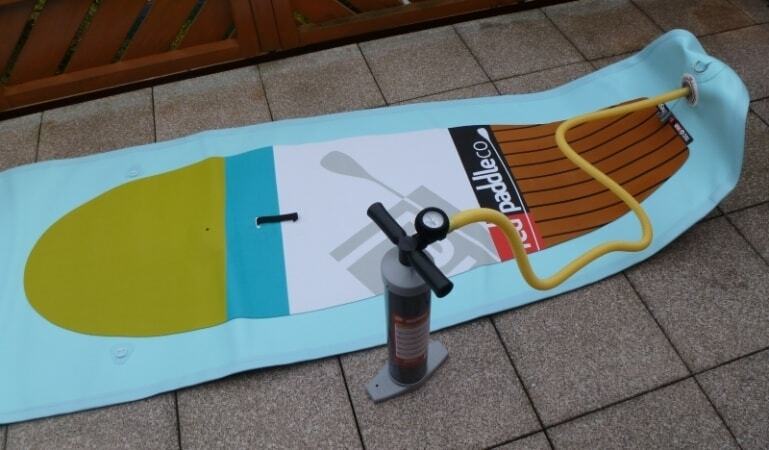 This inflatable paddle board offers value for a cheap price. It’s the perfect addition to your traveling luggage if you plan on visiting exotic destinations such as Bali or Bora Bora and want to bring your own paddle boarding gear. It’s small enough to bring along, but when inflated is long enough for good balance and recreational paddle boarding. What is something nice about this board is the texture of the body which when inflated is solid and sturdy, making it perfect for beginners to use. While not ideal for surf paddle boarding or paddle board racing, it definitely serves its purpose for recreational use. Remember that the ideal paddle board for surfing is one that is shorter than most, yet one that has a solid and durable body. These components are found in the NAISH Hokuna which is a solid built board with a length of 9’10 making it the perfect stand up paddle board for those who want to catch the wild waves and paddle board like a pro. For anyone who wants to pack up and head to the nearest paddle boarding race, this inflatable paddle board has the perfect construction for winning races. Its length is 14″ which provides it with that smooth glide through the water that helps to ensure a speedy finish. It’s portability which allows it to roll up for easy transportation doesn’t take away from its durability. It is made out of military-grade material which helps to prevents damage. 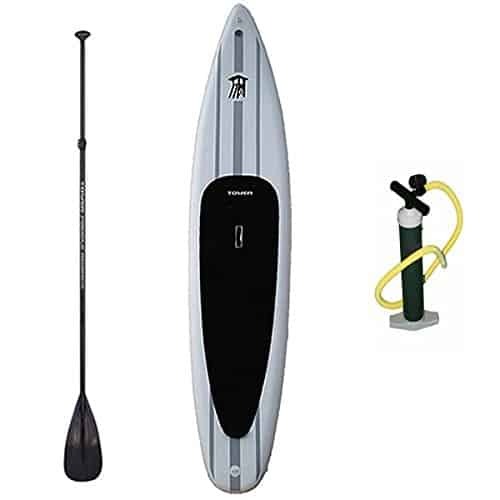 The Tower Xplorer inflatable board also comes with a pump, but you may want to look for a better one as while the board itself is great quality, the pump may leave much to be desired. It also has a weight capacity of up to around 700 pounds, which is ideal for taller people who may find that not all inflatable boards can withstand their height and weight. 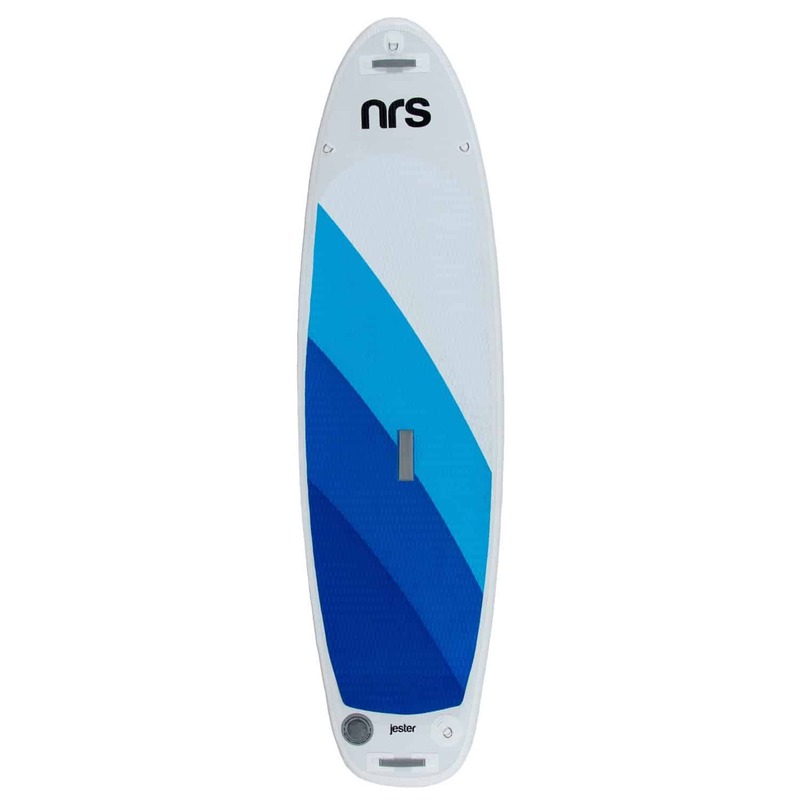 As a parent who loves paddle boarding, you may want to inspire your kids to join in on the fun and this NRS paddle board especially designed for kids will provide them with the right amount of stability and length for balanced SUP paddle boarding. Because paddle boards can typically be challenging to carry for small people, the narrow build of this board makes it easier, as well as the fact that it is light weight. It also has interchangeable fins, plenty of traction for a better balance, and a stylish design. To be honest, this board is more than just good looking, but its aesthetics can’t hurt for those who like style and functionality in one board. At 12’6, it can be used for racing due to its long length, although typically racers like boards to be a bit longer. 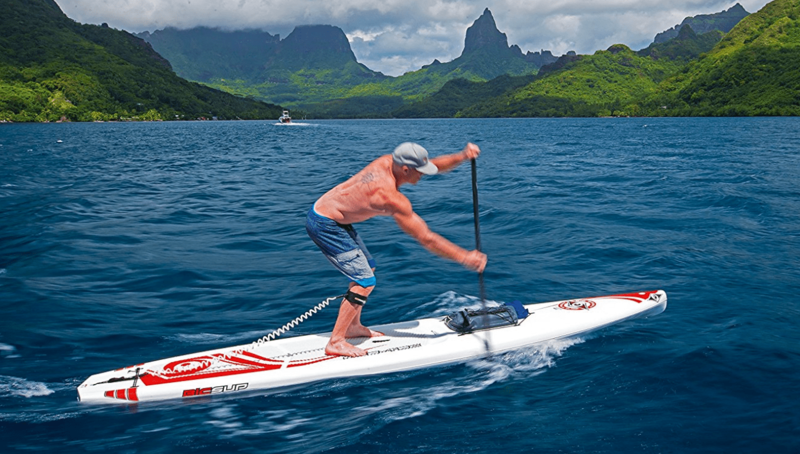 Because of its excellent stability due to the bow entry shape, it offers paddle boarders the ability to be able to paddle board faster and smoother than ever before. It also has heel and toe support which helps to make it easier to balance and place your feet perfectly for better balance. Best of all, the board which is an advanced composite engineered thermoformed epoxy construction guarantees more durability than many other boards on the market. It also comes with flush deck mounts so that you can go ahead and take additional things you may need for your trip out onto the water. 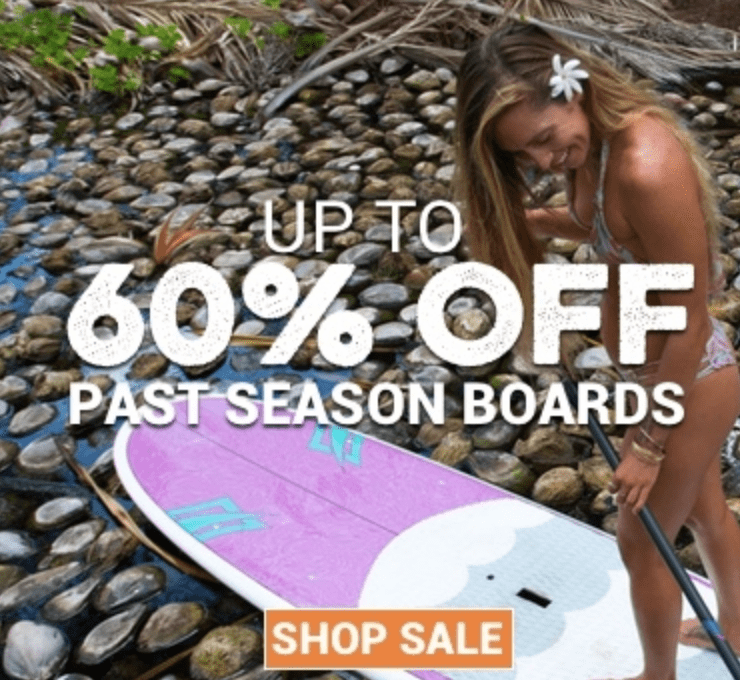 It is the best board around in 2017 for anyone who has had experience in paddle boarding and wants a solid one that they can use for both touring and recreational use. We hope you enjoyed our 2017 board review. If you have any questions or comments, or would like to see other reviews, be sure to mention them below in the comments below. Paddle boards just continue to get better and better with time. The great part is that prices come down over time for an equal quality board that used to cost much more. As the sport advances, everything gets better and less expensive. We look forward to the future and reviewing more boards very soon. Previous Post: « How Difficult Is Stand Up Paddle Boarding?